Two young Polish artists will perform during this year’s ICMA Award Ceremony in Katowice. The first one, Piotr Alexewicz (*2000) has been proposed by the Krzysztof Penderecki European Centre for Music, which won a Special Achievement Award from ICMA. Piotr Alexewicz is currently a student of Prof. Pawel Zawadzki at the Karol Szymanowski High School of Music in Wroclaw. The young artist already won an impressive number of prizes in international piano competitions. In Katowice he will playBeethoven’s Rondo a capriccio G-major op. 129 as well as two Preludes from Chopin’s Opus 28, Nos. 21 & 24. Violinist Antoni Ingielewicz (*2001) has been proposed by the Polish National Radio Symphony in Katowice, also a winner of a Special Achievement Award and host of the ICMA Award Ceremony and Gala Concert 2018. 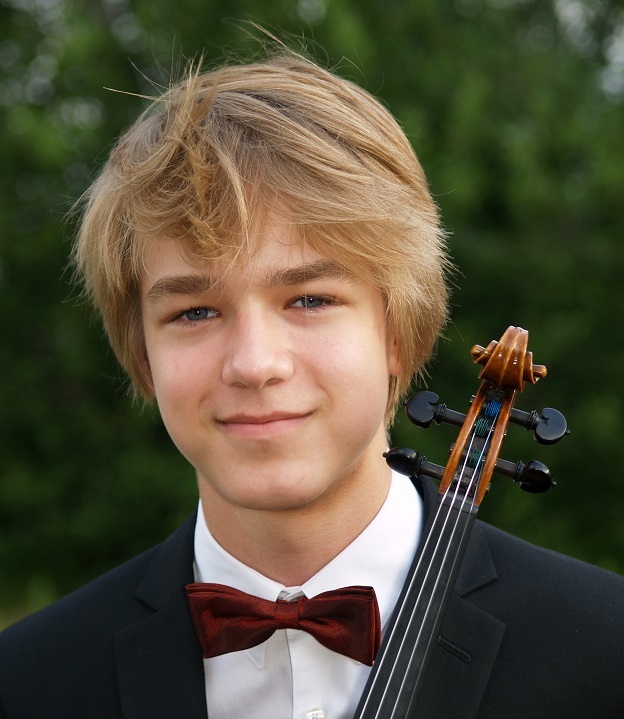 Antoni Ingielewicz is currently studying at the Yehudi Menuhin School in London. He has won first prizes at many national and international violin competitions. Accompanied by Monika Wilinska-Tarcholik he will play Nocturne and Tarantella Op. 28 by Karol Szymanowski. Piotr Alexewicz was born in 2000 in Wroclaw. He began his musical training at the Grazyna Bacewicz Elementary School of Music in Wroclaw with Malgorzata Borkowska, under whose guidance he graduated from this school in 2013. Currently he is a student of Prof. Pawel Zawadzki at the Karol Szymanowski High School of Music in Wroclaw. The young artist has already won of an impressive number of accolades in many national and international piano competitions. In 2010 and 2011 he won First Prize and the Special prize for the best interpretation of a contemporary piece at the 10th and 11th J.A. Hiller International Piano Competition in Goerlitz. The next success of Piotr Alexewicz was his Second Prize at the 11th International Piano Festival of Young Pianists in Glubczyce. In 2013, the artist won again the First Prize in Glubczyce and he was a laureate at the in 21st International Chopin Piano Competition in Sochaczew. In 2014 he was awarded the Third Prize at the International Subcarpathian Chopin Competition for Young Pianists. In 2015, Piotr Alexewicz was qualified to take part at the 3rd International Piano Competition for Young Pianists in Aarhus. He reached the finals of the competition and was in an elite circle of performers from the conservatories and universities from Sydney, Toronto (Glenn Gould School), London (Royal Academy), Salzburg (Mozarteum) and Moscow (Tchaikovsky Conservatory). In the same year Piotr Alexewicz got the First Prize and the special prize of the European Piano Teachers Association Poland at the 8th National Piano Competition EPTA in Cracow. In October 2015 the artist appeared at the anniversary celebration of the Wroclaw Technical University and the National Forum of Music Symphony Orchestra, performing Chopin’s Piano Concerto op. 21 under the baton of Benjamin Shwartz. 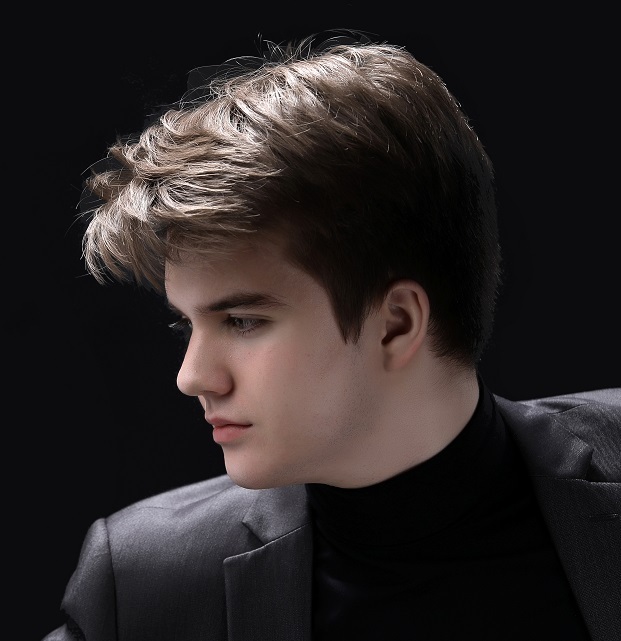 In 2016, Piotr Alexewicz won First Prize at the 5th International Piano Competition in Augustow and the Second Prize at the 23rd Jeunesses International Piano Competition Dinu Lipatti in Bucharest. In September 2016 hre was accepted to take part at the Internationale Mendelssohn Akademie Leipzig in the class of Pavel Gililov. In 2017, Piotr Alexewicz received the Fontys Hoogschool in Tilburg Award at the Anton Rubinstein International Piano Competition in Düsseldorf. He also received Grand Prix, Audience Prize and Musideco Prize at the 3rd Concours International de Piano Ville de Gagy in Paris. In September 2017, he was a laureate of Estrada Mlodych at the 51th Festival of Polish Piano in Sllupsk. In November/December 2017, Pior Alexewicz won First Prize and the prize for the best interpretation of a concerto with orchestra at the 48th National Fryderyk Chopin Piano Competition 2017 in Gdansk. In 2018 he won Golden Parnassus Prize at the 13th International Piano Forum Sanok. He has performed many times in Poland and abroad. Born in 2001. He learns to play the violin at the Suzuki Institute in Gdansk under Anna Podhajska. Currently, he is a student of The Yehudi Menuhin School in London in the violin class of Natasha Boyarsky. He has won first prizes at many national and international violin competitions, including: Grand Prix at the Second National Competition of Musical Individuals ATMA 2017, Grand Prix and First Prize at the Concerto Competition in Philadelphia (2016, USA), First Prize at the Bach Double / Vivaldi Competition in Philadelphia (2016, USA), Second Prize at the 1st Zhuhai International Mozart Competition for Young Musicians in China (2015), First Prize at the Prof. Josef Dichler International Competition in Vienna (2015), First Prize at the Jeunesses International Music Competition Dinu Lipatti in Bucharest (2015), Grand Prix at the Talents for Europe in Slovakia (2015) and three First Prizes in the following categories: soloist up to the age of 18, chamber ensembles – duo and quartet, Second Prize at the 12th G. Ph. Telemann Violin Competition in Poznan (2015), First Prize at the 9th Young Violinist Competition in Lublin, First Prize and the prize for the greatest artistic individuality at the 4th Groblicz Family All-Poland Violin Competition in Krakow (2013), First Prize and the prize for the best performance of the Polish composer’s caprice at the first National Violin Competition (age category up to 23), Young Virtuoso in Krakow (2013). Antoni is a multiple scholarship holder of the Minister of Culture and National Heritage. He participates in many master classes in Poland and abroad, including Maxim Vengerov, Zakhar Bron, Felicity Lipman, Marek Mos, Erkki Palola, Krzysztof Smietana, Krzysztof Jakowicz, Edward Zienkowski, Yair Kless, Magdalena Szczepanowska, Roland and Almita Vamos, and Kim Fisher. He has performed as a soloist with symphony orchestras in Slovakia and in Kalisz, Czestochowa, Bydgoszcz, the NOSPR, the Polish Chamber Philharmonic Sopot under Wojciech Rajski, Sinfonietta Cracovia under Robert Kabara and the Polish Baltic Philharmonic under Maxim Vengerov, the orchestra of the Beethoven Academy, the CORda Cracovia Orchestra, the Baltic Philharmonic for Young People and the AUKSO Orchestra under Marek Mos. A graduate of the Academy of Music in Krakow in the class of prof. Tadeusz Zmudziński and Ewa Wolak-Moszynska. She perfected her skills at master classes under Rudolf Buchbinder in Zurich and Arne Torger in Hitzacker. Winner of the Jeunesses Musicales competition in Weikersheim (Germany) and a special prize at the National Chamber Competition in Zakopane. She has performed as a soloist and chamber musician in Poland, France and Germany, Romania and Moldova, taking part in festivals: ClarinetFest Paris, Karol Szymanowski’s International Music Days in Zakopane, the Clarinet Festival in Krakow, Przemysl Musical Autumn. Monika participated as an accompanist in a number of competitions and music courses, including in Luslawice, Summer Academy of Music in Zagan and in Krakow, and Spring Master Courses in Przemysl, where she is also a lecturer. On stage, she was a partner of J. Gadulanka, G. Deplus, Ph. Cuper, M. Niedermayer, B. Bryla, P. Reichert, J. Reulling, T. Strahl. She has made recordings for Dux, KASP Records and PWM. She also teaches at the Academy of Music in Krakow as an assistant professor at the Department of Chamber Music, where she is the head of the Piano Chamber Music Unit.